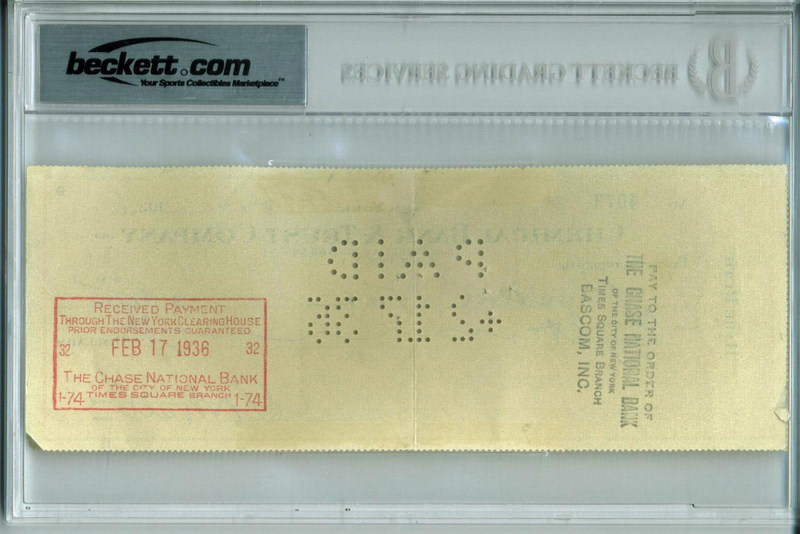 Personal bank check is dated February 10, 1936 and has been hand-signed in black ink pen by Babe Ruth (D. 1948, Yankees, HOF). 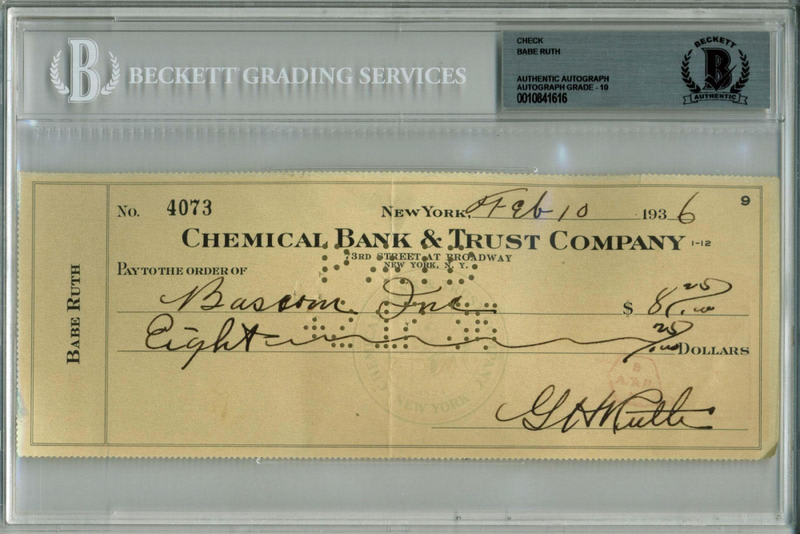 Attractive signed check with an extremely high-grade autograph from Babe Ruth. Check measuring 8.5" x 3.25", drawn on Ruth's personal bank account and made payable to Bascom Inc. for the sum of $8.00. The check is beautifully penned in Ruth's hand in black fountain pen ink and is signed, "G.H. Ruth". An excellent piece worthy of the grading from Beckett Authentication Services (BAS) impeccable GEM MINT 10 grading. 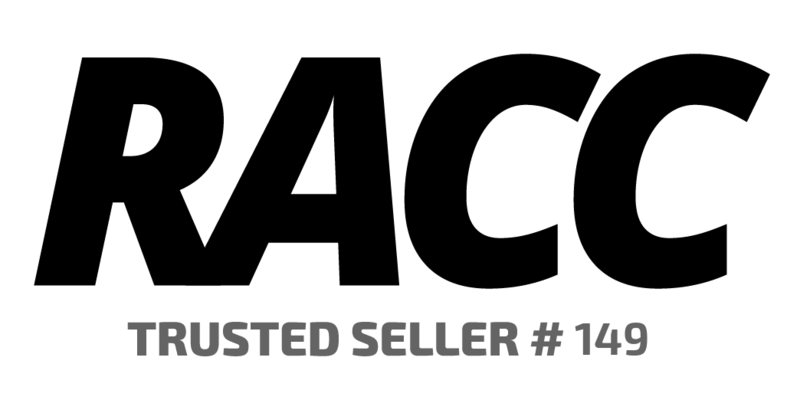 Authenticated, encapsulated & graded by Beckett Authentication Services. The item / autograph(s) has been authenticated and encapsulated by Beckett (BGS) for authenticity purposes.